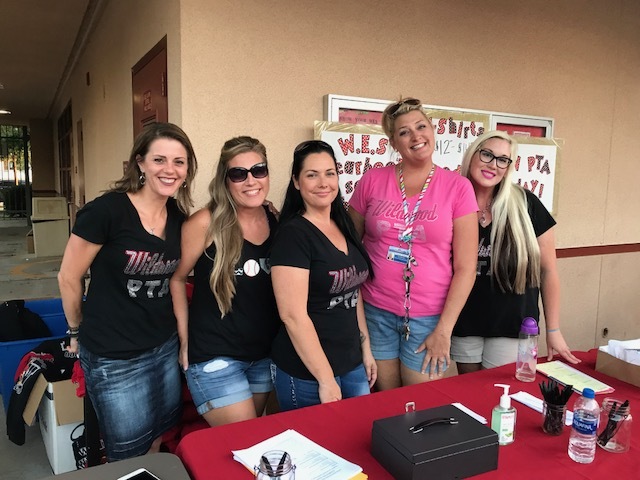 Our 2018-2019 PTA President is Ms. Angela Sealy (center) and Vice President is Ms. Nonnie Nafzgar (2nd from Right) You can also follow our PTA on their Facebook page at WES PTA for updated events and opportunities to help our school through PTA! We look forward to joining our wonderful PTA and becoming involved with our school in the 2018-2019 school year! A reminder to any parent/guardian who may have "opted out" of Blackboard Connect phone calls and text messages, but then wanted to "opt back in". If you opted out last year, but want to resume receiving phone calls and text messages this year, then please follow the directions below to opt back in. Thank you! To opt back in to receive phone calls, recipients can call the opt-out hotline number at 855-502-7867. Once they opt back in by calling this number, they will immediately resume receiving phone calls. If a recipient has opted out of SMS messages, they can text "Subscribe 1218391" to the number 23177 in order to opt back in for text messages. Student Council needs your help. We would like to show our Kindergarteners that they are an import part of our school and show them how much fun we have as a school community. We are asking that when the Kindergarteners perform at our next Spirit Day on April 12, each grade level wear their assigned color. This will make a school wide rainbow. All you need to do is wear a shirt that is mostly the color your grade level has been assigned and be ready to sing at our assembly. Thank you so much for your participation. Let's rock this for the Kindergarteners!